Never give in, never give up, never go back. 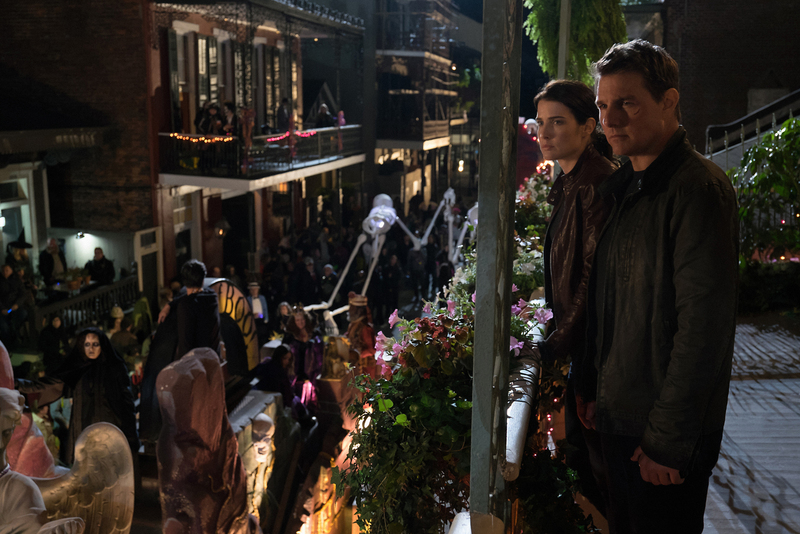 Jack Reacher (Tom Cruise), a drifter and former Major in the U.S. Army Military Police Corps, is on his way to met Major Susan Turner (Cobie Smulders) in person for the first time after helping her on a case, where the pair became romantically interested in one another. On his arrival to the Major’s Virginian headquarters, Reacher finds out that Turner has been arrested, his friend accused of being involved in a complicated murder case where two soldiers under her command were killed over in the Middle East. Meanwhile, Reacher is shocked to learn that he has a sixteen-year-old daughter named Samantha Dayton (Danika Yarosh), despite having no memory of her conception. With Reacher’s suspicions aroused, he soon finds himself on the run with Turner and his ‘kid’ Dayton, as he seeks to clear Turner’s name and protect the young girl he barely knows. I’m a big fan of Jack Reacher (2012). With that film, Christopher McQuarrie, Mission Impossible – Rogue Nation (2015), demonstrated that he was both a slick director and a sharp writer, delivering a tightly constructed character-driven action-thriller that nodded to the anti-hero cop flick’s of yesteryear, namely Bullitt (1968) and Dirty Harry (1971). While well received by those who saw it — namely critics — it was largely overlooked by audiences who had an abundance of choice — this was the phenomenal Christmas season that saw the likes of Les Misérables (2012), Wreck-It Ralph (2012) and The Hobbit: An Unexpected Journey (2012) grace our screens, not to mention Skyfall (2012), which was still killing it at the box office. Thanks to its eventual combined global revenue, Jack Reacher managed to get by in the end, filmmakers ready to give the franchise another crack, given that Tom Cruise, Edge of Tomorrow (2014), was back on board also. Based on author Lee Child’s popular and seemingly never-ending book series (now up to its twenty-first part), the central protagonist of Jack Reacher is known for his lethal mix of brains and brawn, a guy who has no allegiance to anything other than truth and justice. While Tom Cruise’s physique was a point of casting controversy — the character in the books described more along the lines of a tanked-up wrestler à la John Cena, The Marine (2006) — he made Reacher his own, a simmering tension always present beneath the surface, this giving the impression that the guy was both unpredictable and dangerous. The opening of Never Go Back superbly capitalizes on Cruise’s firm presence, re-introducing Reacher by nodding to the excellent bar fight from the first entry, this time picking up in the aftermath. However, by the time the main mystery plot and ‘mysterious’ daughter subplot get going (by means of a never-ending series of running sequences), it seems that ol’ Jack’s dark attitude has gone astray. 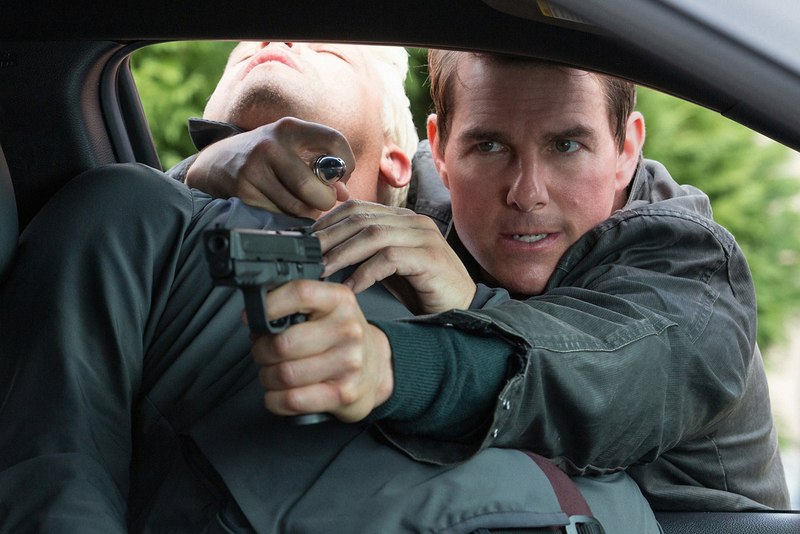 In what feels like a lazy sequel route, the film becomes a family-type affair with the relationships always hovering between ‘are they or aren’t they together?’ but we, as an audience, know that it doesn’t really matter whether they work out as a happy family — it’s all just a ploy to ‘deepen’ Reacher and give him something worth protecting. One issue with this is that Major Turner, despite her protesting, often gets sidelined to wearing a bathrobe or watching action from afar. Yes, thankfully she gets a few up-close action moments, but they don’t feel as though they’re delivered by someone who’s meant to be a capable fighter as she’s all too easily pushed aside again. There’s even a moment where Turner airs her frustrations about this fact, but it doesn’t seem like viewers are meant to be taking it too seriously — actress Cobie Smulders, Avengers: Age of Ultron (2015), may have something to do with the lack of conviction here. The other, more significant, problem with the ‘whole’ family direction is that Reacher’s harder, rougher edges — the troupes that made him so interesting – get sanded down till Tom Cruise ends up reprising the distant father Ray from War of the Worlds (2005). How could it all go so wrong? Co-writer-director Edward Zwick, Blood Diamond (2006), has all the right ingredients to make a movie such as this work, having produced his fair share of character-orientated action flicks, including The Last Samurai (2003), which also starred Cruise. I couldn’t help but wonder if it was a mix of the plot-driven direction the studio chose to take and the lackluster contribution of co-writer Richard Wenk, The Magnificent Seven (2016), which landed the script in such mediocre terrain. What they really needed was a damn good screenplay polish by Christopher McQuarrie, who only produced this time around. It doesn’t help either that the main villain, simply known as ‘The Hunter’ (no really) played by Patrick Heusinger, Frances Ha (2012), just seems to be going through his deadly pursuit for ‘the challenge.’ This feels like it’s building towards some personal connection to the main players, but nope, just a disposable, enthusiastic psycho. If you go by the adage that ‘a hero is only as good as his villain,’ then we’ve already hit bland street here. Action scenes happen with a little more frequency than those of its predecessor, but with hardly the same emotional drive behind them — I’ve pointed to the car chase in the 2012 flick as being a superb example of an ‘earned’ action sequence, one that actually means something to the characters beyond the visceral thrill for the audience. Here stuff seems to happen because the film could get boring — as an example, there’s a scene where Reacher’s alone and almost literally walks into a fight. Afterwards, not a word is said about it, despite all the brouhaha. Look, I should state that Never Go Back isn’t a complete write-off; it’s just frustratingly average overall, particularly after such a strong opening entry. It feels less like a slice of cinematic action and plays more along the lines of a TV movie special — good enough to entertain while one’s watching, but hardly worth remembering after. It’ll work as passable entertainment for those who missed the former outing and don’t have a point of comparison, Cruise fans and anyone into these kinds of action-thriller films.